Its a good idea to have different physical name servers for your websites for better redundancy. If you are using cPanel to host your websites, it is plain simple to setup a fully working DNS cluster. In this tutorial, we’ll be setting up a DNS cluster in cPanel. Besides your main cPanel server, you will need two additional servers or VPS. To lower the risk even more, we can setup these servers from different hosts or locations. As with cPanel, these should be running the CentOS operating system. You can get cheap $5 per month 512MB 1GB droplets from Digitalocean and install CentOS 6 on it. After you have setup your server, its time to install cPanel’s DNSONLY software. Its a watered down version of the normal cPanel/WHM software. You do not even get a DNS zone editor, but that’s fine. You won’t be editing any zones on these servers manually. cPanel states that you need a minimum of 768MB ram to install the software and if your server does not have that required ram, installation will quit with an error. However my DNS servers never use more than 200MB. Maybe it is required for the installation/compiling. Anyway, you can hack the installation process to accept your 512MB ram. Run the bash script with the keep switch. After running the above command, a new installd directory will be created inside the /root/cpanel-dnsonly directory. You need to open the install file inside and change the following to as below. The username will be root and the password will be your server’s root password. 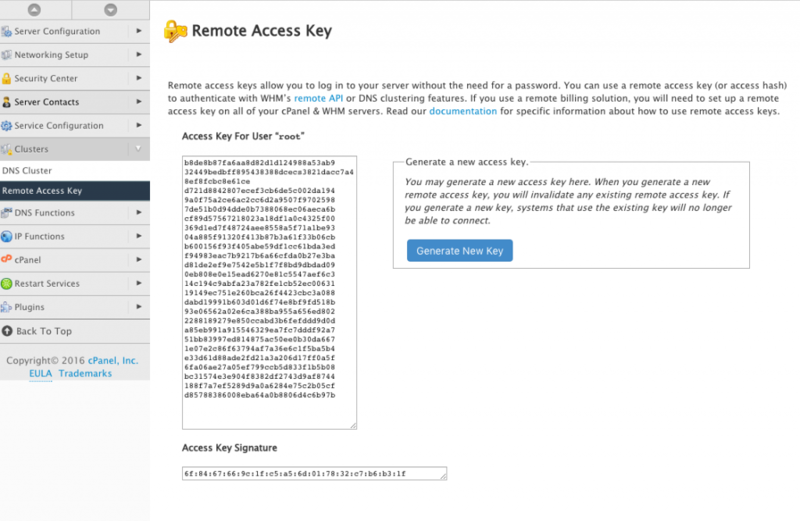 Once logged in, go to Clusters > Remote Access Key and generate a new key. This key will be used by your main server to access the DNS server. Now login to your main cpanel server and go to Clusters > DNS Cluster. 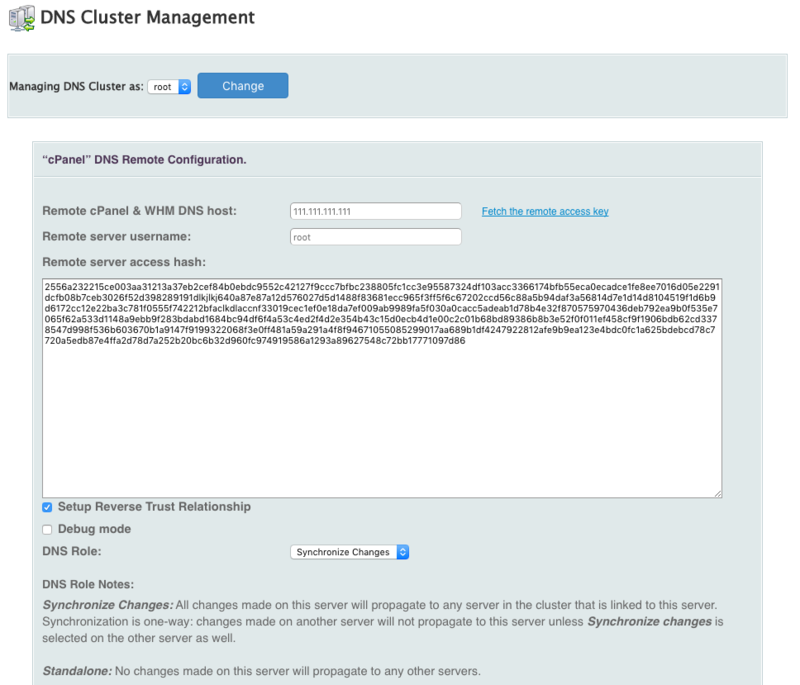 You should now click on Enable DNS clustering and add a new server to the cluster. Choose cPanel as the backend type. You need to enter your DNS server’s IP address and the remote access key that you copied earlier from your DNS server. Tick Setup Reverse Trust Relationship and choose Synchronize Changes as the DNS role. With this setting, your main server will push changes to your DNS servers. Repeat the process to add the second DNS server. 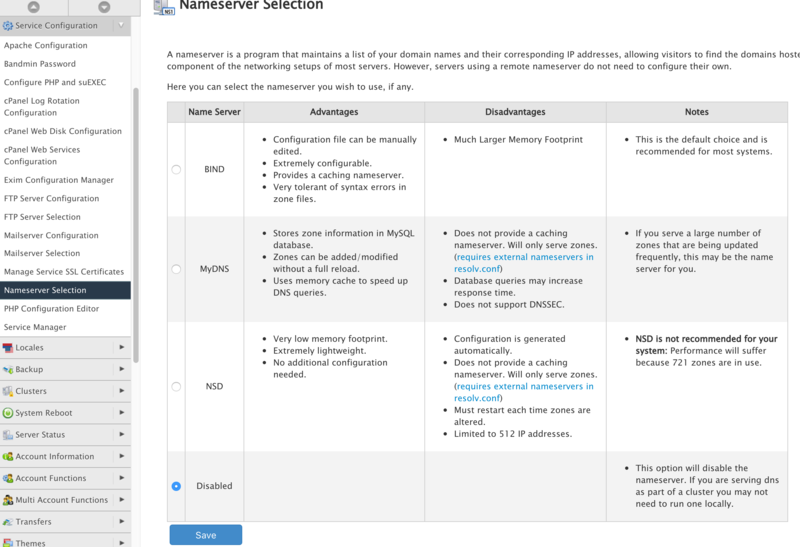 Once that’s done, you can now disable BIND on the main cpanel server by going to Service Configuration > Nameserver Selection. It will not be used as a DNS server any more, but only push DNS records to the separate name servers in the cluster. This way, you will free up resources used by BIND. You now have multiple DNS servers which automatically stays in sync with your accounts in the cpanel server. Once you have finished setting up openvz virtualization on your server, below are few commands to control and manage your containers. If you have a server and want to divide it into smaller servers (VPS) that can be used for different purposes, this guide will show you how to do that with OpenVZ. OpenVZ is one of many virtualization systems (Xen, KVM, etc.) that can be used to partition your server into many Linux containers. It is free and very easy to setup. It can only be used to create Linux containers though. This tutorial assumes that you have already installed CentOS 6 on your main server and know how to edit files using vi. This will be called the node. Install the openvz kernel using yum install. Once the openvz kernel is installed, we have to boot into that kernel and not the centos 6 kernel. Select the boot order, set it to the openvz kernel by changing the default number to the one corresponding to the installed kernel. The default is set to 0, which is the first one in the list. Next, install the openvz tools and utilities that we will use to control and manage our containers. With OpenVZ we have the option of two filesystems for our containers. Now that we have installed the openvz kernel and rebooted into it, we will create our first container. Select and download a pre-created template from the openvz template website and save it to the /vz/template/cache directory. Setting onboot to yes will make sure that the container is started automatically right after the host node is started. We then set a root password for the newly created container. You can now enter your container and install anything and do anything as you please. All isolated from your main server. With OpenVZ you can even change the resource limits of your container without rebooting it using the vzctl command. This can be very handy if you need to avoid any downtime when changing limits. Enjoy your new virtual machines! !